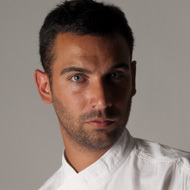 The restaurant dessert specialist Xavi Donnay has spent a good part of his professional career at the head of the station in Martin Berasategui’s restaurant Lasarte in Barcelona. A career that has led the establishment from having one Michelin star to the three current stars, thus becoming one of the great temples of gastronomy in Spain. His role in this success, along with chef Paolo Casagrande, has been to transfer Martin Berasategui’s philosophy of zeal for good products to the sweet territory. For this, his style has always been attentive to technological ingredients and influences of Asian culture. Xavi Donnay also fosters pastry in mini format (buffets, mignardises) to complete all the facets of pastry and to vindicate the great creative possibilities of smaller formats.